Understanding rhyme scheme helps a reader analyze a poem more thouroughly. 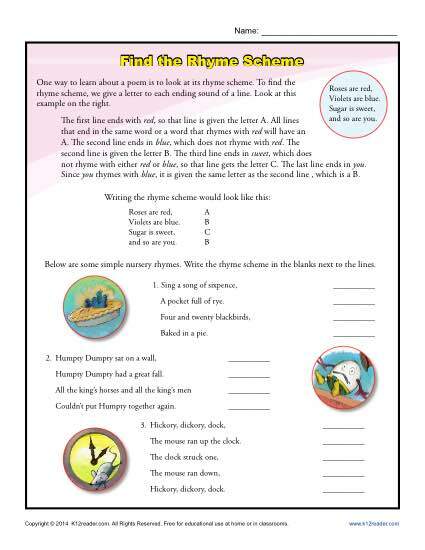 This beginning worksheet on rhyme scheme uses nursery rhymes to introduce the concept. Useful for practicing Common Core Standards for Reading: Literature for 2nd, 4th, and 5th grades, other students may also find it helpful.